HELP NEEDED! Sophie is a Finalist for Best Heroine! So this morning I’m logging on to Facebook, quite innocently, after a lovely and buzzing book launch the previous day… and I come across this bombshell of a news item. 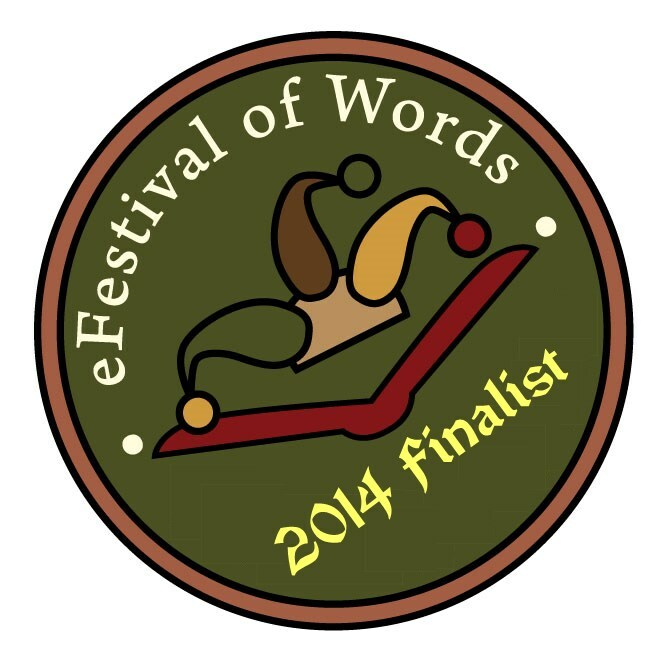 Sophie is a finalist in the eFestival of Words Awards 2014! She was previously nominated for Best Heroine and now made it to the final stages. Wooohooo! To say I was somewhat floored (in a good way) would be an understatement. Squeeeee! Here’s the thing. At this stage, is up to you whether Sophie wins. Yes, you! The bad news is…For Sophie to win, she needs the most public votes. The good news is….Anyone can vote. YOU can vote! Simply follow this link, register, and go to the Best Heroine category to cast your vote for Sophie Penhalligan. Sophie and I would be eternally grateful!! Sophie Penhalligan of Sophie’s Turn was nominated for BEST HEROINE in the eFestival of Words Awards 2014. 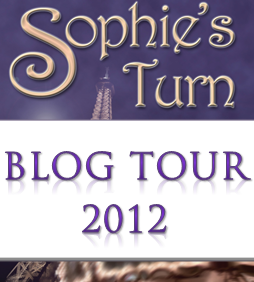 Moreover, Sophie’s Turn was also nominated for Best Cover Art! How excited am I? VERY! The eFestival of Words volunteers will be narrowing down the nominations and producing a list of finalists by 1 July. After that, the voting will be opened to the general public, and winners will be announced in August during the eFestival of Words Virtual Book Fair. Will Sophie win? Who knows. When the time comes, you might want to cast your vote. But either way, I’m simply over the moon to have received a nomination! I had no idea this was going to happen, so whoever of you lovely folks nominated me: THANK YOU ALL! 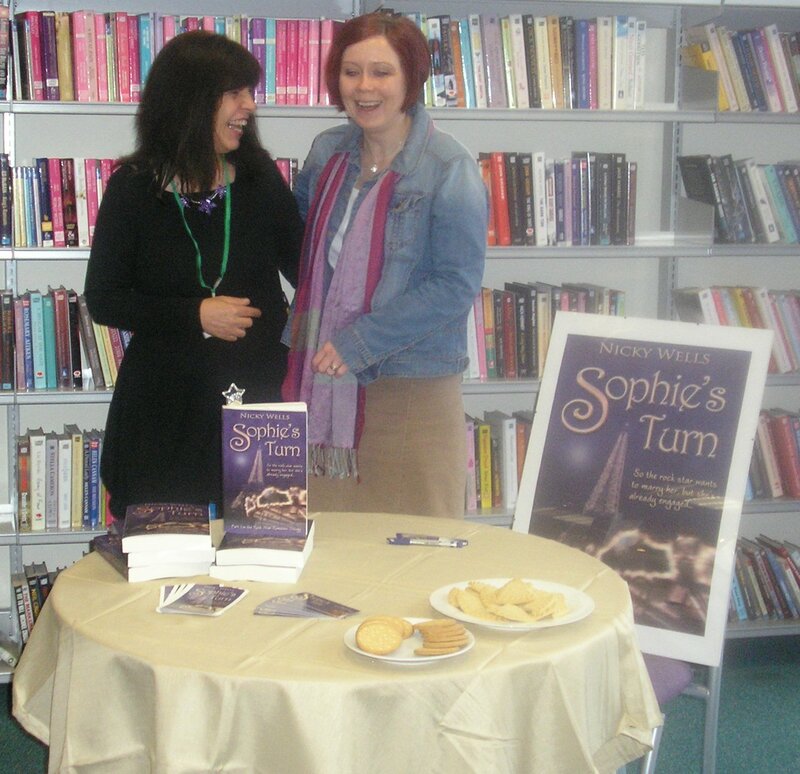 Two Rave Reviews for Sophie’s Turn Today, including FIVE STARS! Well, I have to say, my Friday hadn’t got off to the best start. The children were grumpy on the last morning of term; instead of the promised snow, all we got was snow and drizzle; and then I got home after the school run and realised that I had accidentally taken my four year-old’s glasses home with me. So yes, I had to trudge back to school again! 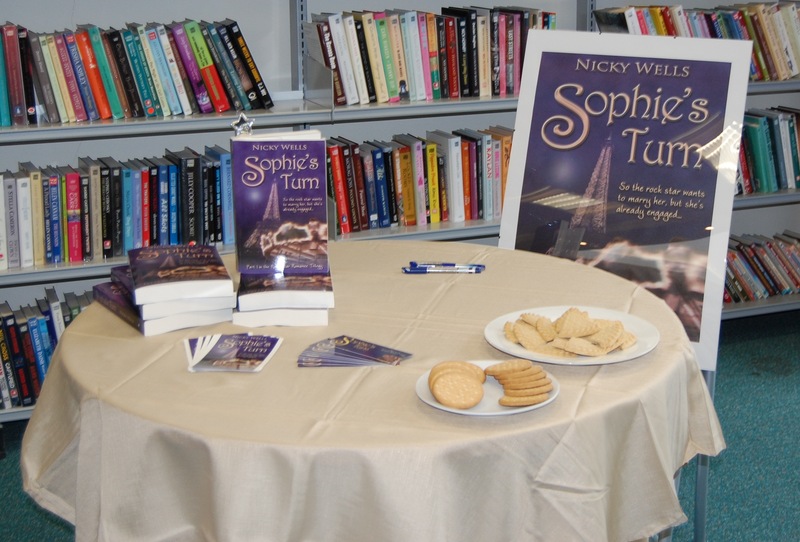 Imagine my delight, and the turnaround of my fortunes and mood, when I found not one but TWO fantastic reviews for Sophie’s Turn waiting for me! 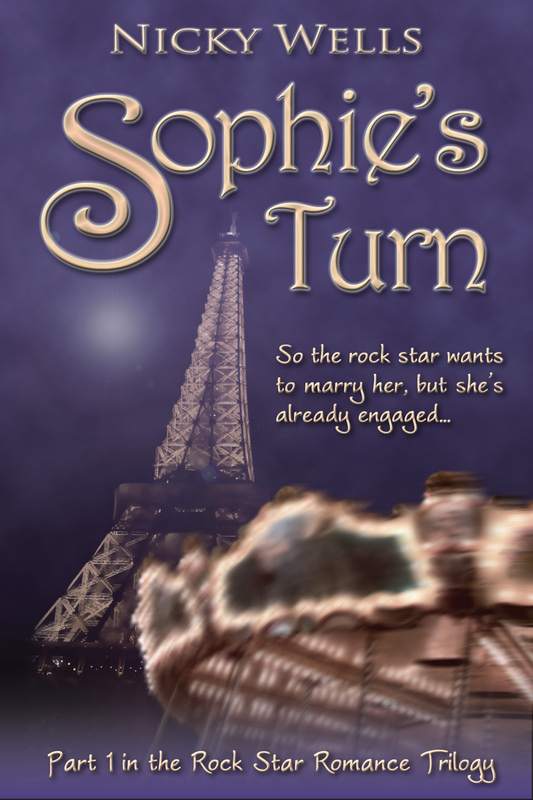 The first review is by Kate on her lovely book blog, Me, My Books and I.
Kate and I ‘met’ on Twitter, exchanged a few DMs and emails, and then she set about reading Sophie’s Turn in something like… two days flat! Kate really connected with the premise of the book as it reminded her of her own teen band obsessions. Yes!!! This is exactly what I had in mind when I was writing the book in the first place, and I am so happy to hear that comment! 🙂 Kate concludes: “This is an exciting, fun story that captivated me from start to finish, I simply can’t wait to read the second story in the trilogy to find out what happens next for Sophie.” To read the full review, please visit Me, My Books and I, and feel free to leave a comment if you have a moment. You can read the full review here; if you do go and visit, perhaps you might feel inclined to press the “Yes” button regarding the question of whether the review was helpful to you; that way, other customers will see it right at the top. 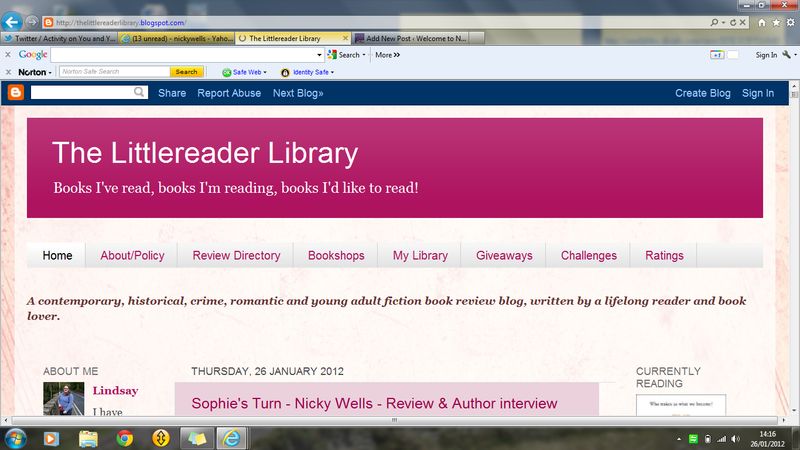 You can also see the review on Goodreads, where pressing the LIKE button again will be helpful if you’re so inclined. A big thank you to the happy reader who left this thoughtful five-star comment. You made my day! 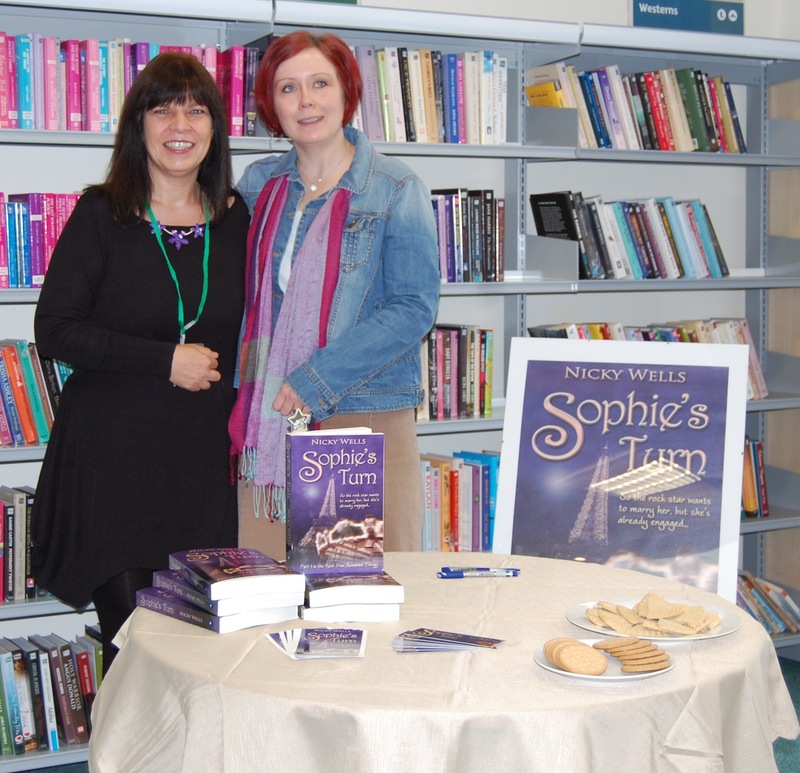 Nicky Wells visits The Littlereader Library and Private Detective Ian MacGregger today! 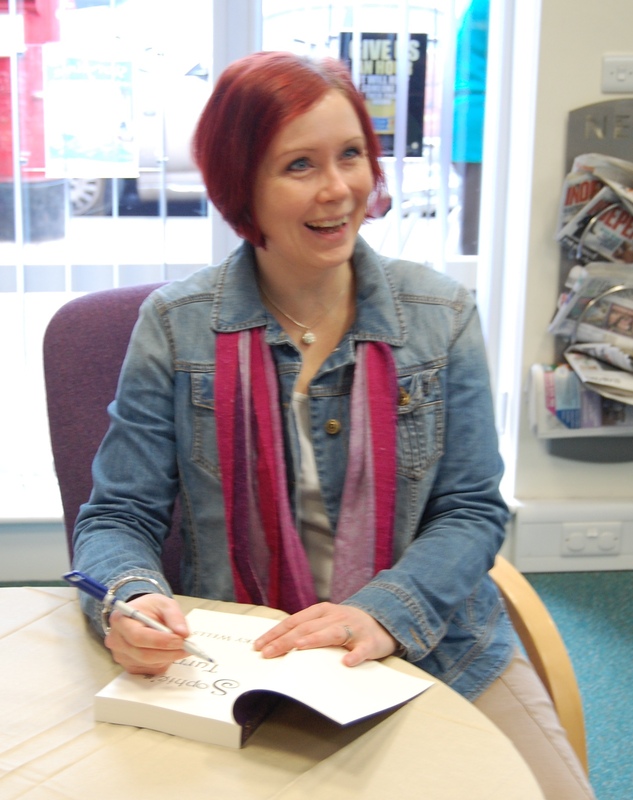 I’m doing my infamous double act again, featuring in two places all at once today: The Littlereader Library and Ian MacGregger’s blog! 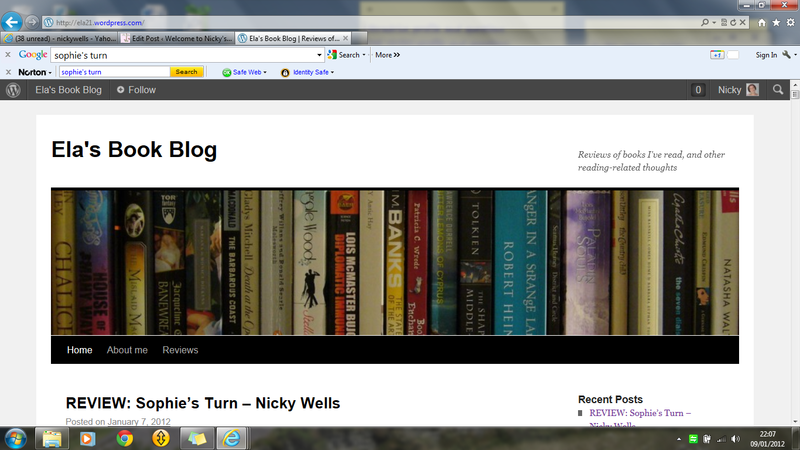 First of all, it is my great pleasure to visit Lindsay Healy’s wonderful blog, The Littlereader Library. 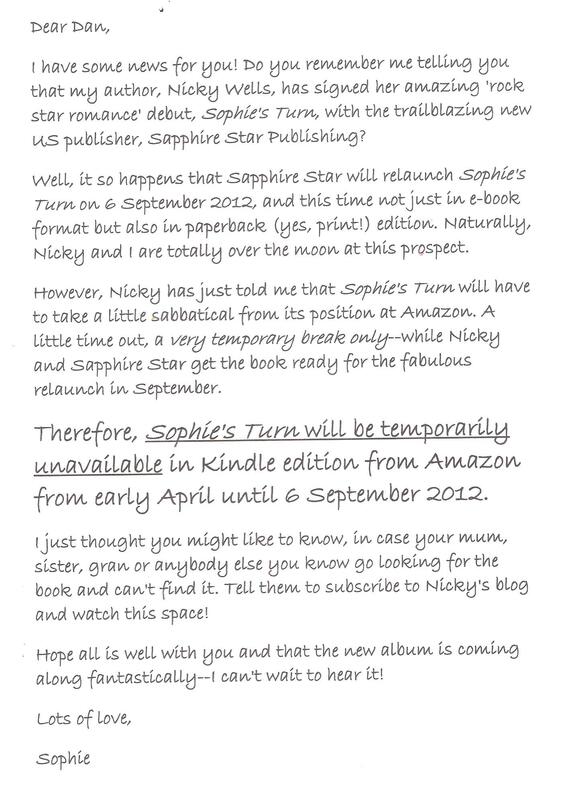 Lindsay has very kindly reviewed Sophie’s Turn and she feels that “The author has penned an enjoyable, light romantic novel with some entertaining comedy moments, and there is a palpable chemistry between Sophie and Dan!” I am truly honoured and delighted that Lindsay enjoyed my debut novel and that she is keenly anticipating the sequel! You can read the full review here. Moreover, Lindsay is also hosting me for an interview and you can find out about my favourite music, the sequel to Sophie’s Turn, and my favourite reads right here. 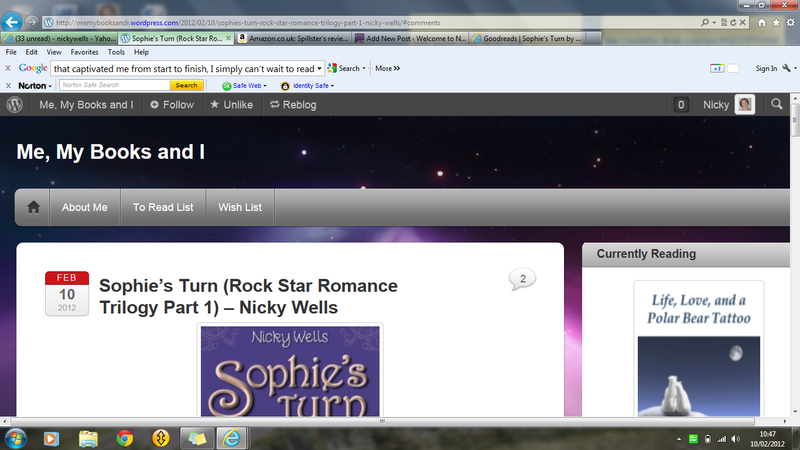 Thank you so much to Lindsay for featuring me on her blog. Please do join me there and say hello! Lindsay is an Associate Reader at the innovative author/reader project, loveahappyending.com. 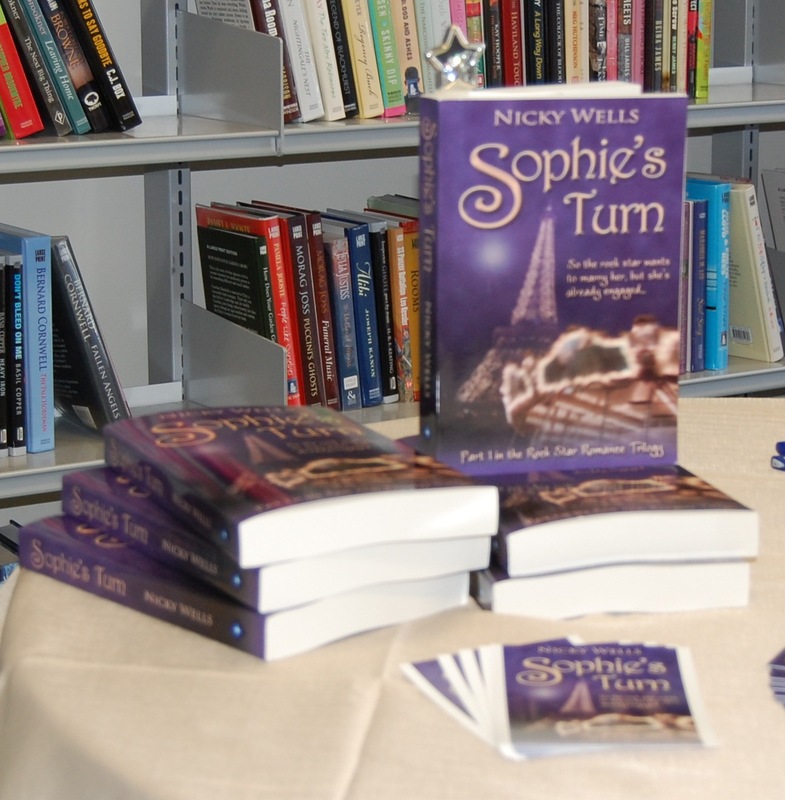 Last Saturday morning, just as I was nearly leaving the house with my family to visit the children’s grandparents for a birthday bonanza weekend, I got a message that Ela Bookworm had posted her review of Sophie’s Turn on her blog. Normally, I’d launch right into the review highlights but there’s a bit more of a story here that I’d like to share. Then you’ll understand why this review means so much to me! Emma is a friend of mine and, in fact, was present at the gathering last summer that saw the first ‘pressure testing’ of my crazy idea to publish Sophie’s Turn. OK, so everyone had had rather too much Pimms but still… Emma was extremely encouraging of my plans and promised then to read my work. 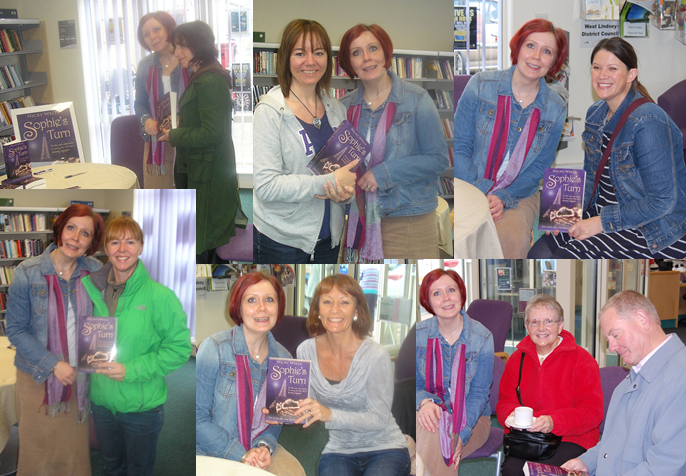 After the launch on Kindle, things got a bit hectic for me and I struggled to keep my head above water; I’d never Blogged or Facebooked or Tweeted in my life and it was all a bit much. So while, of course, I included Emma in my general promotion fest, I never managed to catch up with her properly. By the time I’d got myself a bit more savvy and organised and managed to track her down on Twitter to offer her a review copy, she had gone and bought a copy for herself. 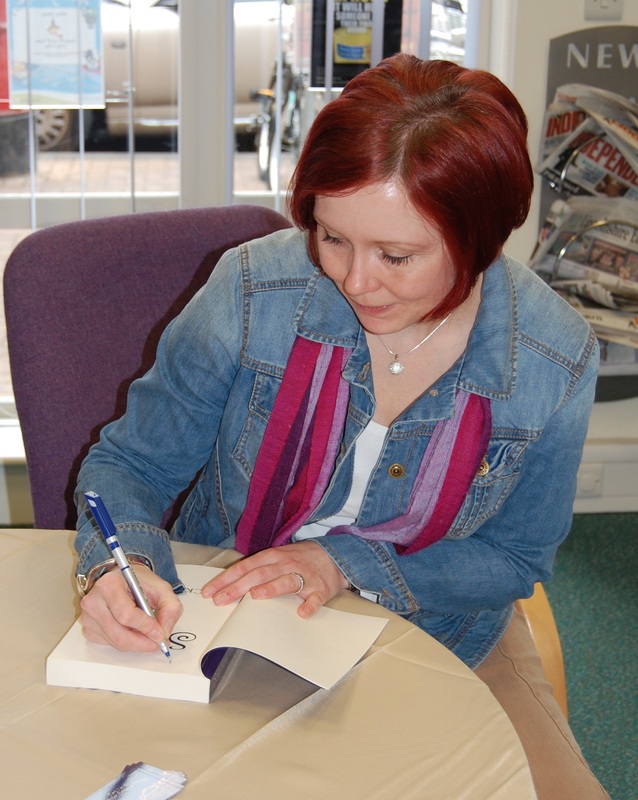 This is the bit where I blush deeply, and a good place to say “Thanks” for Emma’s amazing dedication and support. Now Emma leads a busy life and has been in and out of the country a lot. 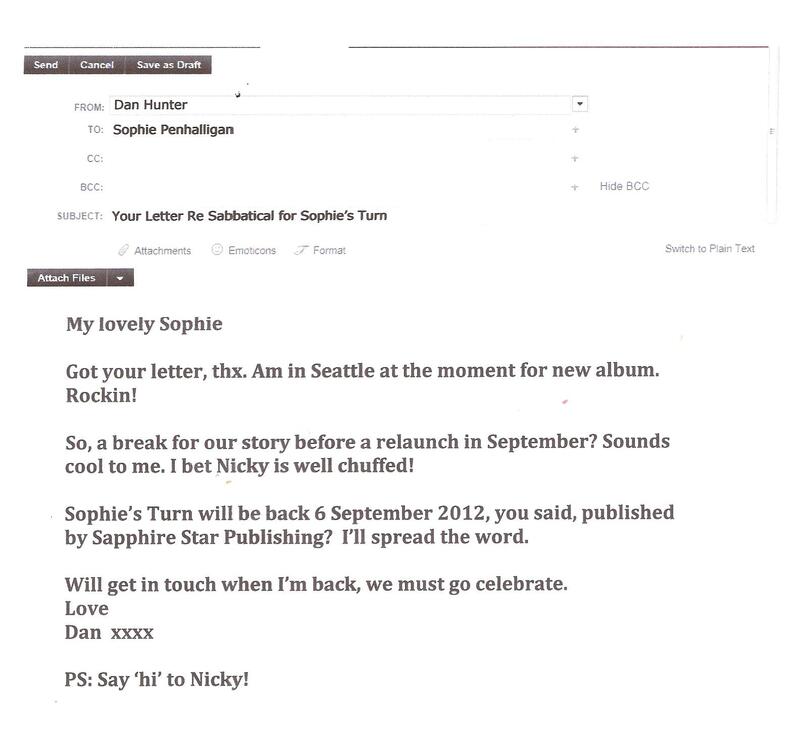 But she didn’t forget her promise and she did read Sophie’s Turn. 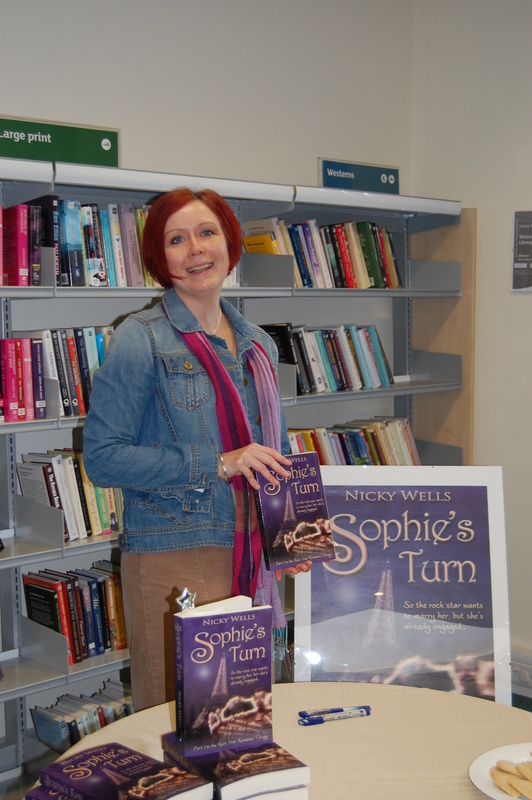 She doesn’t read romance or ‘chick lit’ very often but she does read extensively (A LOT!) 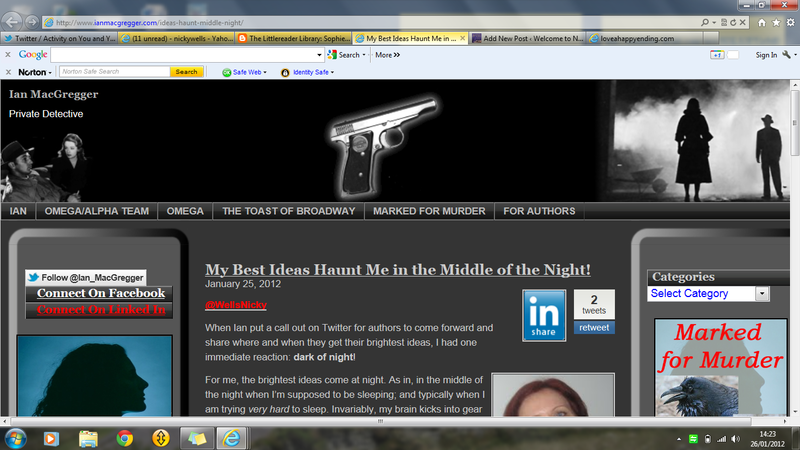 as you can see immediately upon visiting her fabulous blog. 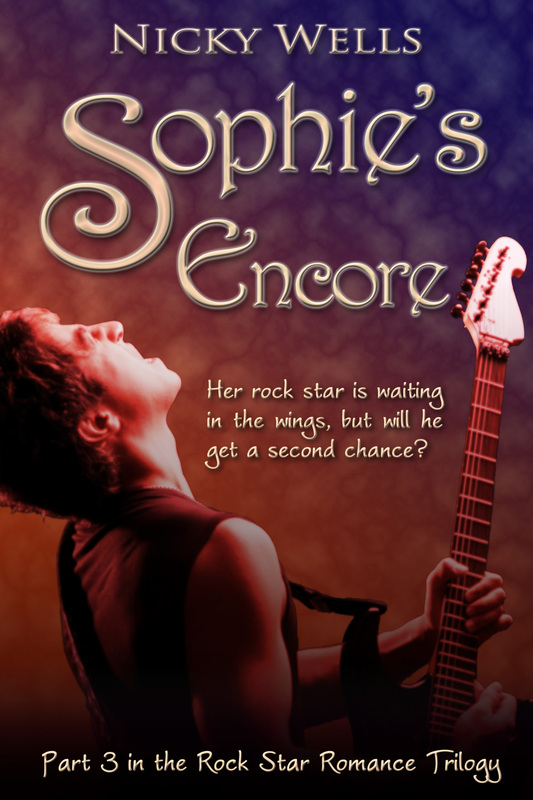 Emma also has a very keen eye for fictional writing prowess; and, as the expression goes, “she says what she means.” So I was curious to see what she made of rock star romance Sophie’s Turn! I think it’s safe to say that Emma really enjoyed it! There are a few things that she’s questioning but her conclusion blew me away: “an entertaining piece of wish-fulfilment which is resolved satisfyingly and realistically, with a flawed heroine who eventually realises what is important in life.” That is high praise indeed, and I am chuffed to bits. Thanks, Emma, for posting such a detailed, thoughtful and positive review. I really enjoyed reading it, I am proud of it, and I am mulling over the questions you raise with a view to seeing how they might apply to events in the sequel. I’m loving it and I cannot tell you how much I appreciate it.